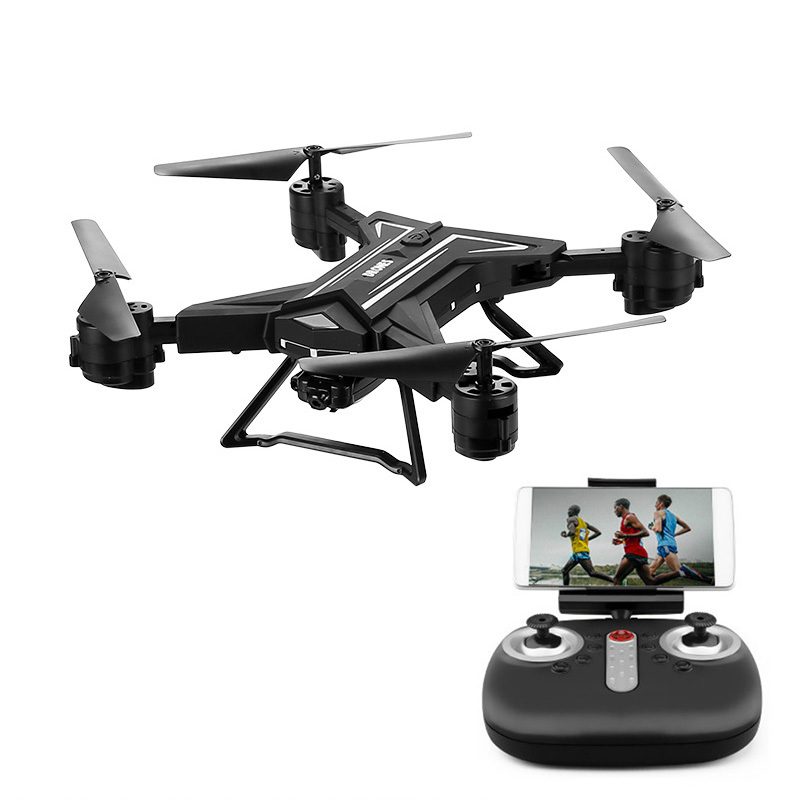 Successfully Added Foldable Camera Drone - 0.3MP Camera, 680mAh Battery, Remote Control, WiFi, 3D Flip, Headless Flight Mode, 3 Flight Speeds, App to your Shopping Cart. The KY601 folding drone is an extremely lightweight and compact RC drone that lets you cruise through the skies in style. This advanced Quad-Copter comes with a number of in-flight features and a remote control. This makes your video drone easy to control while flying around. Whether you’re a first-time drone pilot or an experienced enthusiast, this RC drone is sure to meet your demands. It comes packed with a 680mah battery for 7 minutes flight time. With its remote control, it features a 100m flight distance for you to enjoy. This foldable drone gives you a great opportunity to discover your surroundings from an entirely new and different perspective. With its six-axis, this RC drone treats you to smooth flying and great control. Its foldable arms make it easy to store away and carry around in your bag. With its WiFi camera, you’ll be able to shoot pictures and videos of all your upcoming flights. For easy usage, your Quad-Copter supports one key take-off and landing. It furthermore has a headless flight mode and supports 360-degree flips. Your drone has 3 different flight speeds to meet your personal flying style to its most. Thanks to its LED lights, you’ll even be able to fly this beauty at night without losing track of its location. If you’re looking for an affordable camera drone that has it all, the KY601 folding drone is perfect for you. This RC Drone comes with a 12 months warranty, brought to you by the leader in electronic devices as well as wholesale drones..